Best Fishing Secrets’ patented Universal Flies are perfect for all types of fishing. Four patented Universal Flies are included. By the mid 1970s, my dad had already developed and patented the Universal Fly. We’ve been using it with and without the rig for more than 35 years! So many people have asked us for the Universal Fly, that we finally decided to make it available to as many flyfisherman as possible. 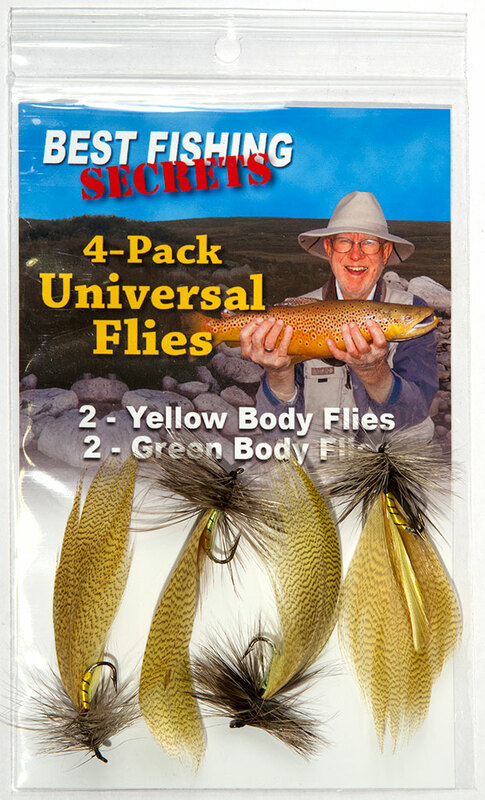 The convenient 4-Pack includes two green body and two yellow body flies.